According to a report from Variety, adorably charming actress, Rachel McAdams, is currently in negotiations to join the science fiction drama, Passengers. She would be starring along side Keanu Reeves, unfortunately for McAdams, as his love interest. 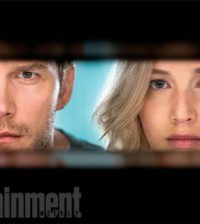 Set in the future, “Passengers centers on Jim Preston (Reeves), a mechanic on a 120-year journey to a distant colonized planet in another galaxy, who becomes the first traveler to experience pod hibernation failure. Having woken up 100 years too soon, he is stranded in the world of an interstellar spaceship with only robots and androids for companionship. A year into his journey, he decides to wake up a fellow passenger, a beautiful journalist named Aurora. They fall in love but must soon deal not only with the revelation of Jim’s misjudged act of waking her but a major malfunction of the ship itself. “Game of Thrones” and “Boardwalk Empire” helmer is attached to make his feature directorial debut on the project. The Weinstein Company will distribute the film. Wayfare Entertainment is financing and producing from a script by Jon Spaihts.